The family trees do not appear with connecting lines in Google Chrome. Internet Explorer, Microsoft Edge and Mozilla Firefox work fine. Click on a line in the table below to access the relevant topic. The purpose of this site is to collect and publish prosopographical information about ancient Roman Republican and Imperial senatorial and equestrian families. The Eastern dynasties have been added to show the relationships to Roman families and other Eastern dynasties. The families are shown as genealogical family trees, a stemma. The periods covered are both the Republican from 509 BC until 31 BC and the Imperial until 284 AD, when Diocletian became emperor. It includes stemmata (family trees) of the Roman senatorial gentes (families), and also includes equestrian members. The project includes 346 stemmata, incl. 19 stemmata for Eastern royalty, plus 49 files on legions. Note that the earlier stemmata from 2013-2014 still need major updates, in some cases total rework. Versions prior to November 2013 have now with one exception ("F_various" from 2010) all been updated. In general the newer the date the more detailed information and references are included plus an extended header section. I am also gradually converting font from Arial to Times New Roman. Please see the Guidance topic for information on the structure and details of the stemmata. The first phase is to collect the raw prosopographical information. When all have been entered in more or less raw format, a second pass of analysis will structure the genealogical tables with information on the confidence level of the relationships, entries will be updated with information from sources available since the Realencyclopaedie and PIR have been published, references to relevant articles and notes with information on the individuals will be added. Please be aware that many of the geneological connections in the stemmata are uncertain and can be disputed. I have in general tried to be conservative and not make undocumented assumptions about possible connections. Often several variants are possible. Fresh evidence, typically from new inscriptions, can often correct a stemma or indeed overturn old theories. If you have any questions, comments, or suggestions, send them to me at strachan@os.dk. This site is created and maintained by Christian C. Strachan. All pages copyright ©2007 Christian C. Strachan unless otherwise noted. If you plan to use any information found here for other than personal use, permission is required. The author of this site is Christian C. Strachan. I graduated from the University of Copenhagen in 1980 with a Masters Degree (cand.mag.) in History and a bachelor degree in Political Science. My thesis was a "Prospographical Analysis of Political Adoptions during the Roman Republic". My continuing interest in Roman Prosopgraphy is the main reason for this site. I also enjoy astronomy/cosmology. Below are two nice pictures. 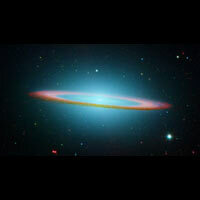 The Sombrero Galaxy in Infrared Light. 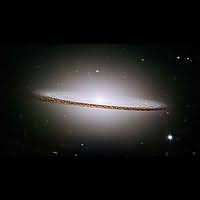 The Majestic Sombrero Galaxy M104. Credit: NASA and The Hubble Heritage Team (STScI/AURA).